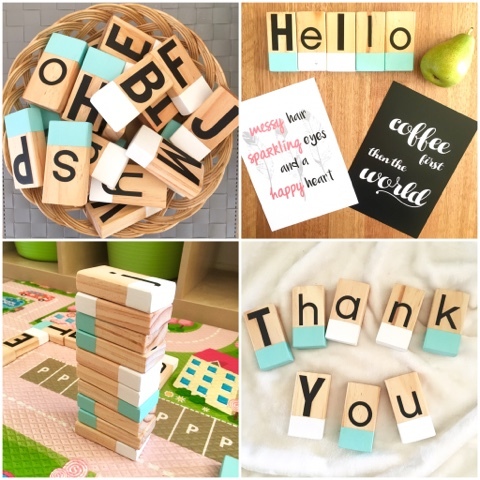 I am so privileged to bring you this beautiful product today - the Hello.Pear wooden Alphablocks! Their dedicated creator Johanna is based here in Adelaide, which makes it all the more special for me to share. These blocks are hand made with painstaking love and care - you can tell when you hold them how many hours of work have gone into them. 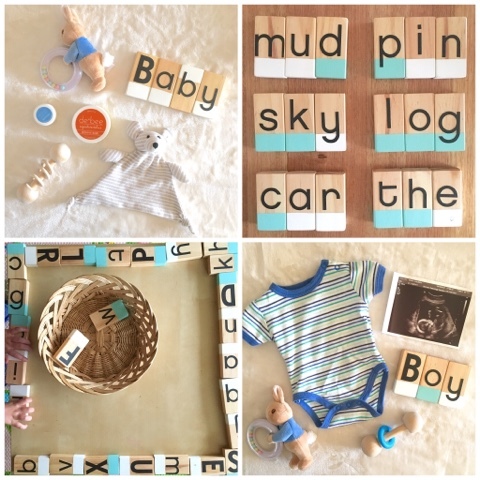 It's something special to #shopsmall #shoplocal and #shophandmade. You are giving back to a real person and making a difference (I'm a brand rep & our set of blocks was kindly gifted for the purpose of this review). 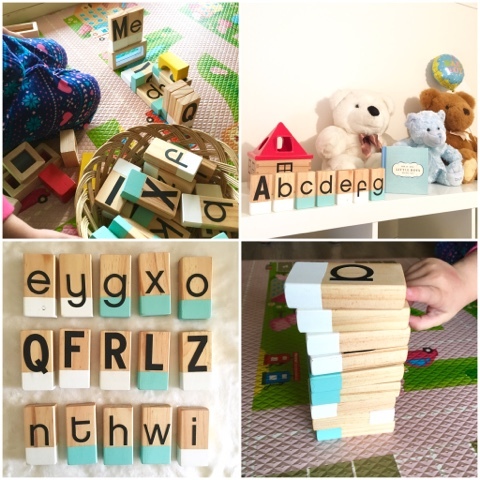 So I got to thinking and Miss M got to playing and we came up with 20 ways to play (and use) our Alphablocks. Combine with other blocks to create BLOCK CITY! 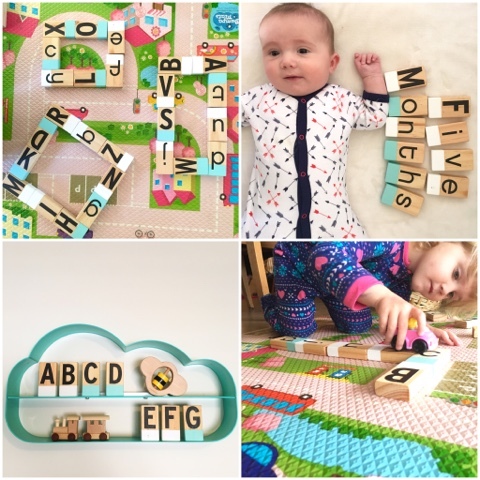 Not only does she create Alphablocks, but number blocks and dominoes. So educational! So fun! And oh so beautiful! Due to the high demand of her product, and the time it takes to create them, Johanna's online store is temporarily closed, and she'll be announcing on her Instagram page, when the next re-stock is ready to sell, so if you're interested stalk her page and you'll have to be quick! 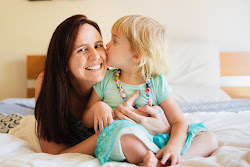 Thanks again to Johanna - we look forward to many more hours of play and learning. 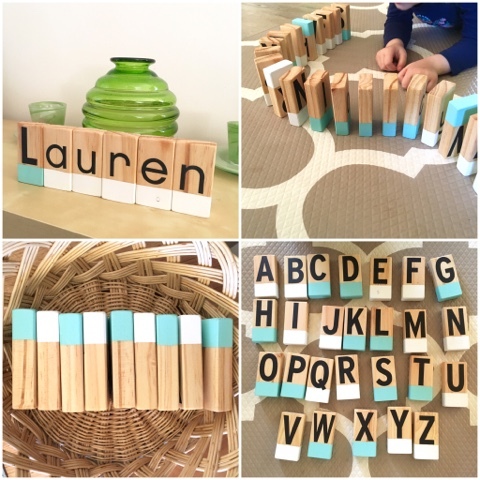 Oh those blocks are lovely! oh wow these are GORGEOUS!!! i know the kids would love them but to be honest i would too haha! ;) they are stunning and i can see how well made they are - so many play options! They are just lovely blocks! So many fun uses. Thanks for sharing. They are so pretty, love the natural wood and soft tones. I will absolutely be following her on Instagram. What a gorgeous product!!!! Oh these are lovely! What a sweet gift they would make too.